If baking soda can be used to deodorize your refrigerator, it can also be used to keep your general living space smelling nice. Simply fill a glass mason jar about one-third of the way full with baking soda and add 5 to 10 drops of your favorite essential oils. Cover the jar opening with a lid that has holes poked through it, and set it somewhere in your home. For other easy ways to upgrade the general smell of your home, you can also simmer herbs in a pot over a stovetop, make a simple room spray out of distilled water and essential oils, or put together your own potpourri mix. Random bad smells in your home (and body)? 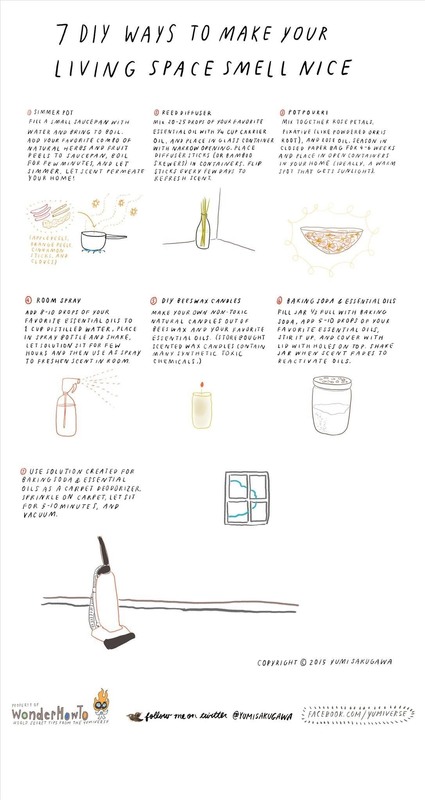 Check out this DIY guide for deodorizing stinky things.